Mayor Dave may cut off WYOU PEG Funding this January! In his next budget, Mayor Dave may attempt to deny us our portion of PEG-Access fees paid for by cable subscribers! The Mayor is rumored to have suggested that this money instead be put into the general fund and then have the Government Channel assume Public-Access responsibilities! Sounds like a great idea, doesn't it? We may close our doors as soon as January and say goodbye to Free Speech! Print one out, get it filled with the signatures of your friends, co-workers, and neighbors, and drop it off at the station immediately. The Mayor will submit the first draft of his public-access-killing budget on October 7th! Also, write your alder and tell them what you think of the idea! You can cc us at info@wyou.org. HERE's a clickable map of the Alder's districts. Remind them that in America free speech is supposed to get respect, and that means open access of the television medium to ALL members of the community, not just commercial and government interests. The flood damage that occurred earlier this year in southern Wisconsin took its toll on thousands of home owners. 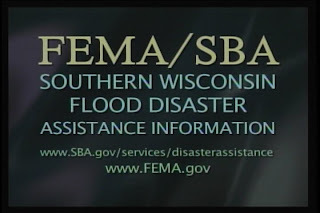 All this month, WYOU is running information on flood disaster assistance available through FEMA. Taped in our studios, two members of the FEMA team address the issues and means by which people can get help. Look for the FEMA airings all of September, Tuesdays at 3:00 pm & 10:00 pm; Wednesdays at 1:30 am, 5:30 am & 10:00 am; and Friday at 6:30 am. Also watch for repeat airings in October and later months as well. In our 36-hour On-Air Film Festival this past June, independent filmmaker Steve Sprague screened his short, "Dangerous" to a throng of enthusiastic viewers. All this month, "Dangerous" is back along with two more of Steve's short films. 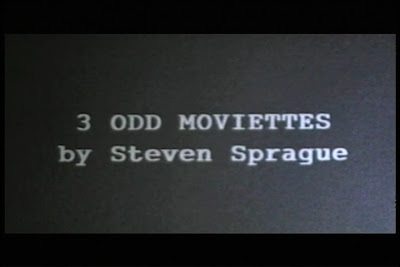 Watch for the 3 Odd Moviettes at 9:00 pm every Tuesday evening in September...with repeats on Wednesdays at 5:00 am and Sundays at 1:00 am. The National Poetry Slam is a performance poetry competition where teams from across the United States, Canada, and France participate in a large-scale poetry slam. The event occurs in early August every year and takes place in a different US city. This year's slam was held here in Madison, and WYOU's Dennis Cotton was there to capture it on video. See it all this month, airing Wednesday evenings at 11:30 pm. Catch repeat showings early Tuesday mornings at 1:00 am and Saturday mornings at 2:00 am. So as of September 30th, we will no longer be channel 4.